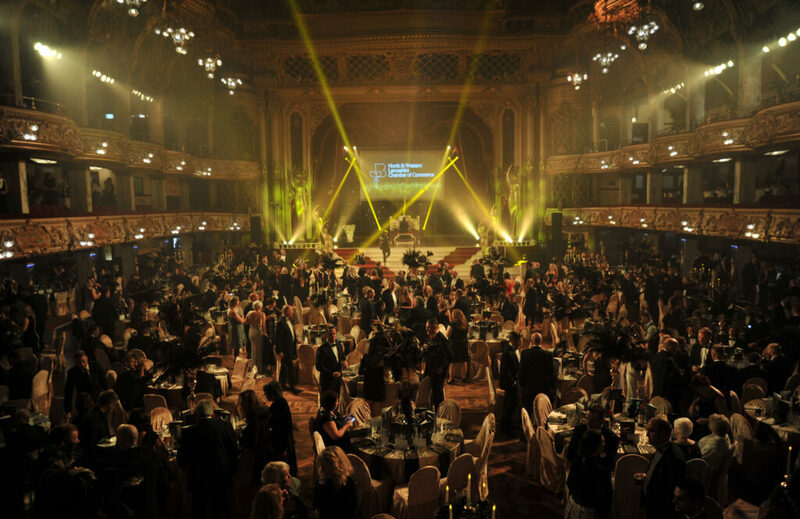 Around 1,000 business people including our clients, UK Media and Events who were nominated for Lesuire Business of the Year, packed the Blackpool Tower Ballroom for the Be Inspired Business Awards. Nigel Havers hosted the evening, which saw Fylde-based businessman and Preston Guild Hall owner Simon Rigby given a lifetime achievement award, and Preston-based Sunshine Events take two trophies. BIBAs organisers The North and Western Lancashire Chamber of Commerce handed out a crop of awards after a rigorous judging process. All the winners will now enter the BIBAs Academy, a package of workshops, masterclasses, and networking run by the awards and the University of Central Lancashire, aimed at further boosting the growth of some of the county’s leading lights. The other winners on the night include Chelsey-Marie Baldwin, the Blackpool-based former gymnast who was forced to retire from the sport aged just 17, and has gone on to set up her own academy teaching young people in South Shore. She was supported in getting her business underway by a grant from the BIBAs Foundation, a charity set up by the awards which provides grants in support of enterprising initiatives by young people in the county. Ashley Hackett, CEO of the Blackpool FC Community Trust, was the other individual winner picking up the Business Person of the Year award. Chorley-based Scorpion Automotive was named Exporter of the Year, Lancaster’s Hotfoot Design picked up the Creative Business of the Year prize and Chorley lightning firm Fourth Wall Solutions was the winner of the New Business of the Year category.